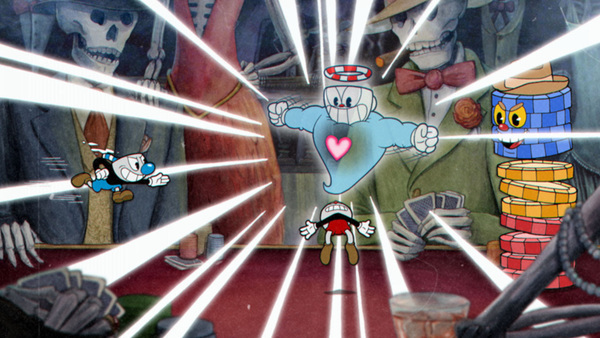 Everywhere you look this week, people are talking about Cuphead coming to the Switch. Somewhere in the fan discussion was worry that the game would have its difficulty tweaked in order to better accommodate the potentially younger audience the game could be hitting. According to Cuphead co-director Jared Moldenhauer, that was never a consideration. Even though we’ve had a few days to let the news settle, most Nintendo and Microsoft fans are still shocked to see Cuphead come to Switch. The love affair between Microsoft and Nintendo has been growing stronger with each day, but this announcement takes things to the next level. Moldenhauer is feeling the same things all other fans are. “There’s something beautiful happening on the scene, where you see more partnerships between the giants. When it came up that Microsoft wanted to get more viewership on indie games, and they wanted to have more gamers capable of playing these games, they said, would you like to jump on the opportunity of going on Switch?